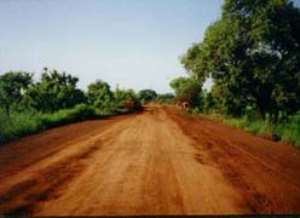 Wa, May 21, GNA - Mr Sahanun Mogtari, Upper West Region Minister, has expressed concern about delays in the execution of road contracts in the Region. He said Contractors had no reason to delay in the execution of the contracts since they were paid promptly for the work done and warned that non-performing Contractors would be sanctioned. This was contained in a statement released to Newsmen at Wa, after he met with Road Contractors and the Officials of the Ghana Highways Authority and Department of Feeder Roads in the Region to review the execution of contracts. He noted that many of the Contracts were far behind schedule and, therefore, directed that all defaulting contractors should submit their work plans on outstanding works to the Ghana Highways Authority and the Department of Feeder Roads. Mr Mogtari noted that the delay in completing various road projects was hindering the smooth movement of people and goods and said he was worried that the situation could get worse with the onset of the rains. "The road sector plays a vital role in the economy and it is for this reason that huge sums of money are being spent on the sector by the Government." The non-execution of project on schedule, he said, was a great source of concern to the affected communities as some of them had been virtually cut-off in terms of vehicular movement. He called for the institution of monthly meetings with road contractors to review the progress of all contracts for measures to be taken where necessary. The Contractors welcomed the meeting and pledged to double up their efforts but complained that they lacked the necessary plant and equipment to enable them to deliver. They appealed to the Government to assist them to address the problems.